After the huge success of Popular Tecno Pouvoir 2 and Pouvoir 2 Pro, it seems the Hong Kong based phone maker is all set to launch the 3rd alterations of the device. The Tecno Pouvoir 3, as it will be called, is tipped to go official within the first quarter of the year, hosting some upgraded specifications over the previous Pouvoir 2. 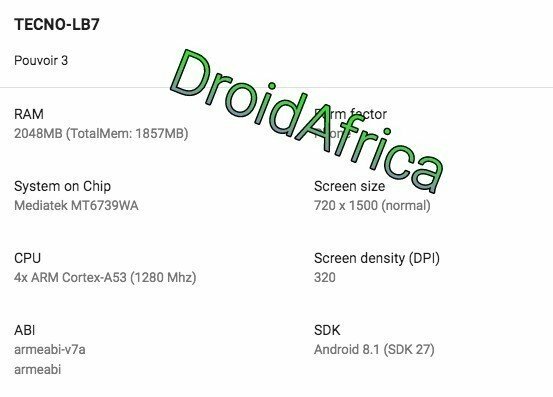 If the leaked specs and render sent to us via Tiger Mobiles today are to be believed, the Tecno Pouvoir 3 will come featuring a Mediatek MT6739WA CPU clocked at 1.3Ghz Quad-core. The CPU is a 64-bit SoC assisted by PowerVR GE8100 GPU. The device which has LB7 as it model number, comes with 2GB of RAM, and will boot Android 8.1 (Oreo) out of the box. 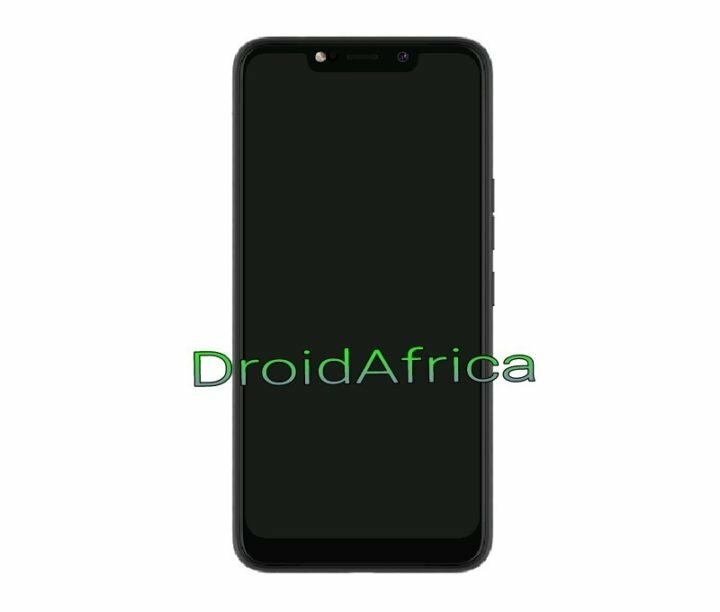 Apart from the Tecno Camon 11 series which came with notch display, it seems the next smartphone from Tecno to comes with notch display cut-out will be the Pouvoir 3. According to the leaked render below, the Pouvoir 3 will come with a display cut-out, with a resolution of 720 x 1500 pixels. This could mean that the device will come with a larger 6.2-inch display, and an LED light above the display. In all, we can say that the Pouvoir 3 is coming with a design similar to the Tecno Camon 11 devices. Currently not much is known about the Pouvoir 3. Things like camera setup, screen size and battery are not known yet. But in the coming weeks, the picture and full specs of the device should be made more clearer.